Make yourself at home in one of the 11 individually decorated guestrooms, featuring minibars and flat-screen televisions. Rooms have private balconies or patios. Complimentary wireless Internet access keeps you connected, and satellite programming is available for your entertainment. Private bathrooms with separate bathtubs and showers feature deep soaking bathtubs and rainfall showerheads. 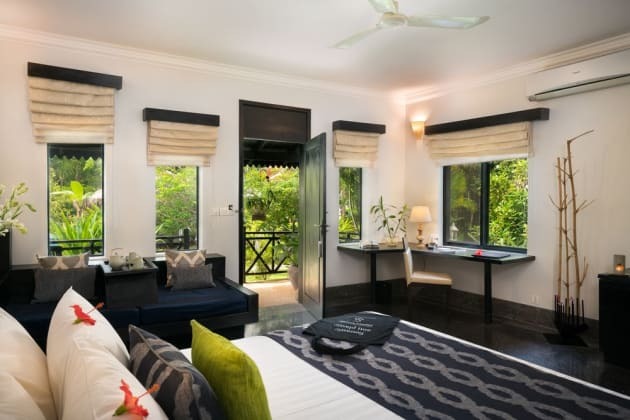 Nestled within private gardens, Theary's Luxury Villa offers contemporary-style family-owned accommodation in the Wat Chork area, away from the hustle and bustle of Siem Reap. It features an outdoor swimming pool and guests can enjoy meals at the in-house restaurant or have a drink at the poolside bar. Free WiFi is available throughout the property. It is 3 km to the vibrant Pub Street and Old Market. 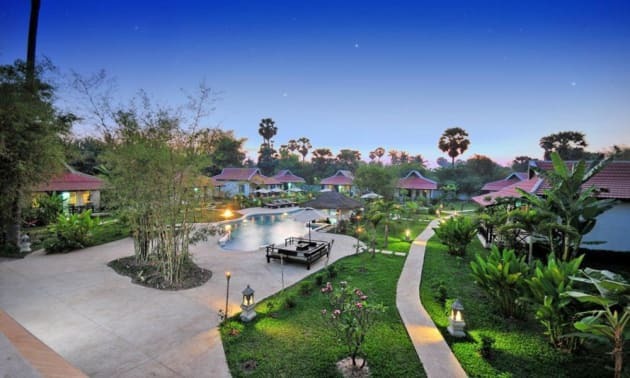 Angkor Archaeological Park is 8 km from Theary's Luxury Villa, while Artisans D'Angkor is 2.4 km away. 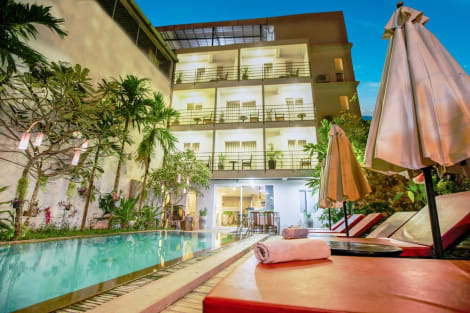 Siem Reap - Angkor International Airport is 8 km from the property. 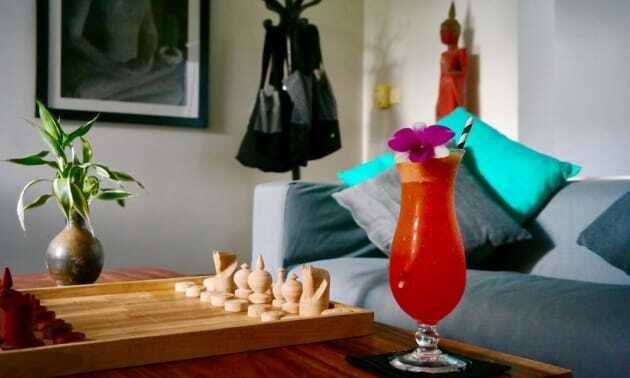 The property offers complimentary airport pickup service via Tuk Tuk. Each air-conditioned room is individually-designed by local architect and owner, Thy Yango and is fitted with a flat-screen satellite TV. Rooms open up to views of either the swimming pool or the garden. Certain units have a seating area to relax in after a busy day. The en suite bathroom includes bathrobes, slippers and free toiletries. Guests can approach the front desk for currency exchange, tour arrangements, ticketing and concierge services. Guests enjoy free use of bicycles to explore the surrounding area. Enjoy a meal at the restaurant or snacks in the coffee shop/café. The hotel also offers room service (during limited hours). Mingle with other guests at the complimentary reception, held daily. Relax with your favorite drink at the bar/lounge or the poolside bar. A complimentary buffet breakfast is served daily from 6:00 AM to 10:00 AM. Don't miss out on recreational opportunities including an outdoor pool and bicycles to rent. Additional amenities at this Art Deco hotel include complimentary wireless Internet access, concierge services, and a hair salon. Getting to nearby attractions is a breeze with the area shuttle (surcharge).